and our very own rock’n’roll hall of fame. We are happy to announce, that amp’s CEO Michele Arnese and Lars Schalkwijk (Strategist @amp) will speak about voice as part of brand’s sound identity at the very first German Voice Assistent Conference in Munich on October 12th 2018. We attended the IFA Berlin, the world‘s leading trade show for consumer electronics and home appliances. It took place at the Berlin Exhibition Grounds (ExpoCenter City) from the 31st of August to the 5th of September 2018. On Saturday, the 18th of August, amp's production supervisor and cook extraodinaire will be featured in the same lineup as Francesco Tristano. Our CEO & Founder Michele was invited to present the Sound Of Geberit together with our client Geberit, represented by Dr. Martin Baumüller (Head Division Marketing & Brands, Member of Group Executive Board at Geberit) at the Transformamus Summit 2018. Our CEO & Founder Michele has been interviewed by the most important magazine for advertising and communication in Germany "Werben und Verkaufen" (www.wuv.de) about the future of voice and sound in the golden age of audio. As part of the Milan Furniture Fair, a furniture fair held annually in Milan, Geberit hosted an exhibition pop-up. Geberit used this opportunity to enhance this vivid experience with Geberit-specific soundscapes and playlists. amp is taking advantage of this unique opportunity to get marketing issues out on the table, make your voice heard and collaborate with peers on real solutions. Great get together for CMO’s on the west coast. Three days of learning, networking and celebrating. It’s fresh, inspiring and insightful. amp joins me convention by Mercedes Benz in Frankfurt. amp is invited to Bread and Butter, the pop-up of style and culture by Zalando’s VP of Maketing Carsten Hendrich, who will also be featured in Vol. 2 of 101GreatMinds on music brands and behavior. Biggest show of its kind on planet earth – I feel like a kid in a candy store. 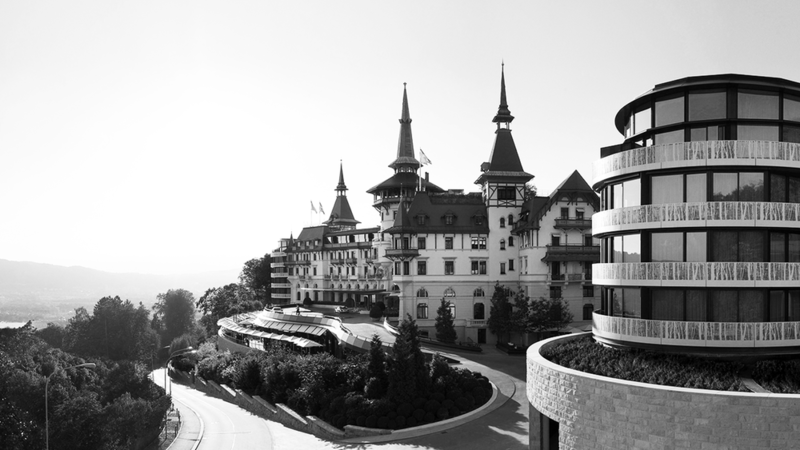 We are happy to welcome the Austrian Automobile Club (ÖAMTC) to our client portfolio. This addition to the amp family could not have come at a better time. The ÖAMTC is now more present than ever in the innovative side of the automobile scene. In this spirit, the ÖAMTC Sound Identity will look to capture and solidify the brand's unique position in the industry. We are proud to announce, that we won Geberit International as a new client. We are now starting the development of a holistic Sound Identity for all touchpoints of this international Brand. UniCredit's positioning is - now more than ever - about understanding the challenges and opportunities customers face in real life today and about having the strength and the expertise to offer them meaningful solutions. That's the reason why we created a new Sound Identity, that fits the new Brand Positioning of the brand. We are very proud to announce, that our holistic Sound Identity for BBVA is launched. amp welcomes Uli Reese as Global Chief Marketing Officer. Uli is a global thought leader and sought after global speaker. As always a must go for Brands. 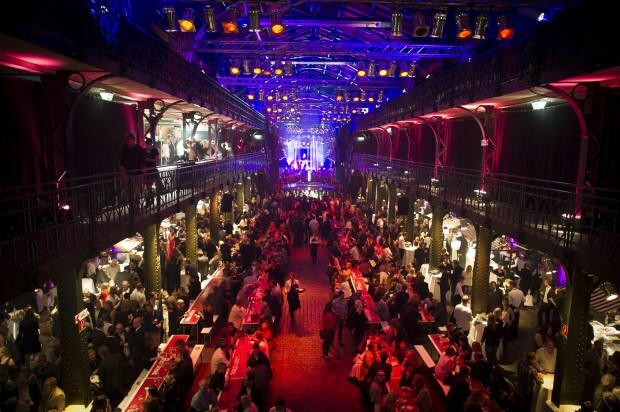 We feel very fortunate that CMO’s of Deutsche Bank and Mediamarkt committed to be in Vol. 2 of 101GreatMinds during the congress. amp is very proud to announce that our holistic Sound Identity for UniCredit is on the short list of the TRANSFORM AWARD EUROPE 2017 in the category "Best use of audio branding". After a worldwide pitch, involving 7 Agencies, amp was the winning team, adding BBVA to their finance and banking portfolio consisting of Unicredit Group, Piräus Bank and Erste Bank. amp already started the development of a holistic Sound Identity for BBVA, embracing all audible touchpoints of the brand and ready to be implemented in all markets. Read more about the future of voice and sound and the golden age of audio in the weekly magazine for the communication, advertising and media industry "Werben & Verkaufen". Read more about how amp supported the repositioning of Triumph – the industry leader in women's and sleepwear – with the implementation of the Sound of Triumph in Retail. Here you can find the interview with amp's CEO Michele Arnese about our project at the 5 star superior hotel in Zürich in the professional hotel business journal "Hotel und Technik". red dot communication design awards with "the sound of unicredit", a holistic sound identity. This year our “Sound of UniCredit”project won a Red Dot Award for Innovation in Sound Design. 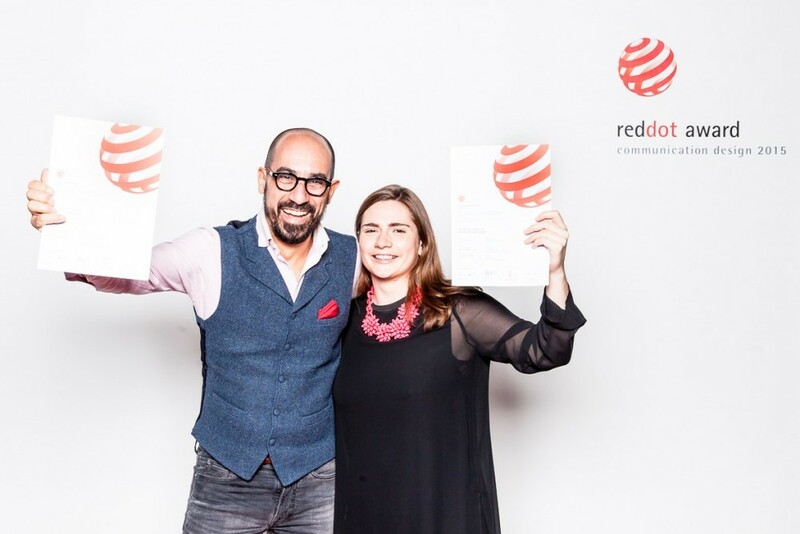 Thousands of teams from all over the world competed in the categories of product design, design concept and communication design, showing why the Red Dot Award is one of the most prestigious communication design awards in the world. “The Red Dot Award really validates our efforts to make sound an integral part of our branding message,” said Silvio Santini, Head of Group Brand Management at UniCredit. “The effort our team has put into this project is delivering even better results than we had hoped for.”The Sound of UniCredit features developed a brand theme, specific sound elements for the online customer experience, and commissioned music to be used for TV & Radio commercials, events and online videos. The brand theme “You Are Welcome,” which you have likely heard by now, has appeared in a number of the Group’s advertisements on television, radio, on digital channels and in call centers. Red Dot Communication Design Award with "The Porsche Soundlab" a multisensory pop-up brand experience. We are, once again, proud winners of the Red Dot Communication Design Award, presented for highest design quality! We were presented this revered award in the sound category, for our project „The Sound of Porsche: Stories of a Brand – The SoundLab”. 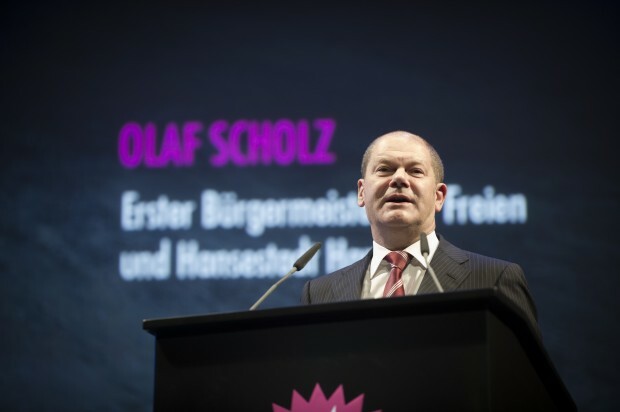 amp, a world-leading agency for sound branding, is honored to have received a 2015 Red Dot Award in Communication Designfor its groundbreaking project, “Sound of Porsche: Stories of a Brand”, a multi-sensory pop-up store created specially for the Stuttgart car manufacturer and presented in 2014 and 2015 in New York, London and Shanghai and Moscow. At the heart of the experience is the Soundlab, which features an iconic Porsche 911 embedded in an upscale sound studio environment. Using an iPad app, specially developed by amp, visitors select from three driving scenarios – Miami’s Ocean Drive, Tyro’s Kaunertal glacier road and Germany’s legendary Nürburgring raceway. The Porsche’s roaring engine, recorded on location and at Porsche Dynamometer in Weissach, blends with field recordings to create fully immersive soundscapes in 7.1 surround sound. As visitors listen, they watch the local surroundings of each scenario stream by, projected onto the car using state-of-the-art 3D visual mapping. amp is responsible for the entire creative and technical realization of the Soundlab. Using sound to tell stories and placing the car in a uniquely emotional context, the agency engaged visitors across cultures and continents while triggering an overwhelming press response from the New York Times and other news outlets. Due to the project’s success, Porsche has decided to unveil the Soundlab in additional metropolises for 2015 and 2016.
amp wins Red Dot Award "Grand Prix" 2014 for The Sound of Fascinating Gases, the highest award in the category sound. amp has already been honored with the Red Dot Award and Red Dot Best of the Best Award and may also hope for the Red Dot: Grand Prix. This selection is an exciting one, as it is only announced at the Red Dot Gala, during which the nominated works will be honored with the highest individual award of the competition. Only 13 outstanding designs out of the almost 7,100 submissions were honored with the prize – amp’s submission „The Sound of Fascinating Gases“ (campaign of The Linde Group), in the category „Sound“, is one of them! With the campaign “Fascinating Gases” the Linde AG has found a unique way to give its products a visible and audible presentation that is exciting and informative for the general public. With the Fascinating Gases app and microsite, users can discover how Linde collects gases from the air and learn about the decisive role that gases play in our daily lives. 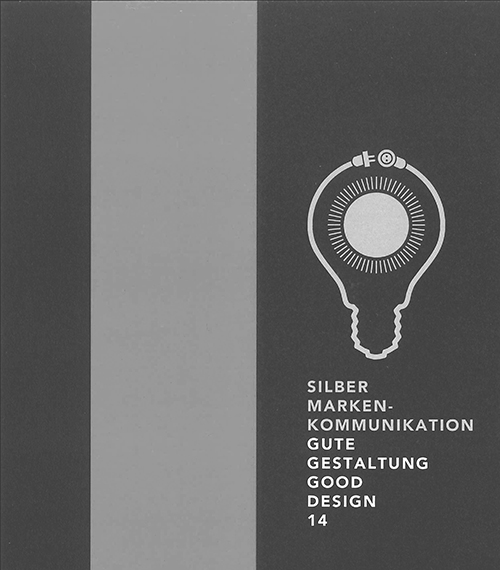 The Linde “Fascinating Gases” project was honored with a silver award for cross-media brand communication from the German Designer Club (Gute Gestaltung 14, category brand communication). The Linde AG has found a unique way to give its products a visible and audible presentation that is exciting and informative for the general public, staying true to the slogan “discover a world of unseen potential”. With the Fascinating Gases“ app, users can discover how Linde collects individual gases from the air and learn about the decisive role that gases play in our daily lives. In addition to an elaborate interactive design, for which the Peter Schmidt Group Hamburg was responsible, amp composed organic acoustic identities for each gas, which reflect the actual physical properties of the gases. These sound identities constitute a world of sound, making the inaudible audible and inviting users to an interactive journey of discovery. 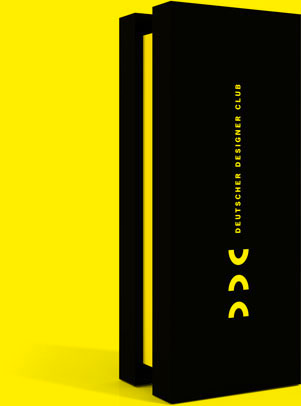 The German Designer Club (DDC) is an initative that highlights „Good Design“ and „Good Designers“. Its goal is to maintain and promote the quality of networked, integrated communication. The commitment of DDC is to show that good design enhances values and is an essential factor of economic success. We are proud winners of the Red Dot: Winner award, the award for high design quality for the project „The Linde Group Audio Branding“. Out of a total of 7,096 entered projects from 49 countries the jury awarded a total of 569 Red Dots. In the category Sound Design (Audio Branding) of the Red Dot Award: Communication Design the projekt „The Linde Group Audio Branding“ was honored with a Red Dot award. This award is the direct result of amp's concept, strategy and implementation of holistic audio branding for the Linde Group. The project required three years of development and implementation for all media and brand touch points involved. This project has also won the Audio Branding Award in Bronze at Audio Branding Congress 2012 in Oxford. We were honored with the most important prize of the German creative industry: The Art Directors Club for Germany (ADC) awarded amp with an ADC Award in the category Audio branding for the work “Audio Branding The Linde Group”. 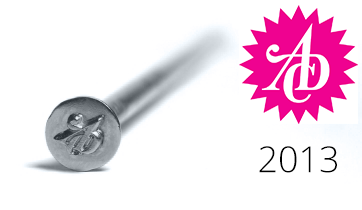 We are overjoyed and proud on being the owner of a silver “ADC nail”. Our thanks go to our client, The Linde Group, for the great collaboration and to the jury, who added the Audio Branding category to the ADC competition.